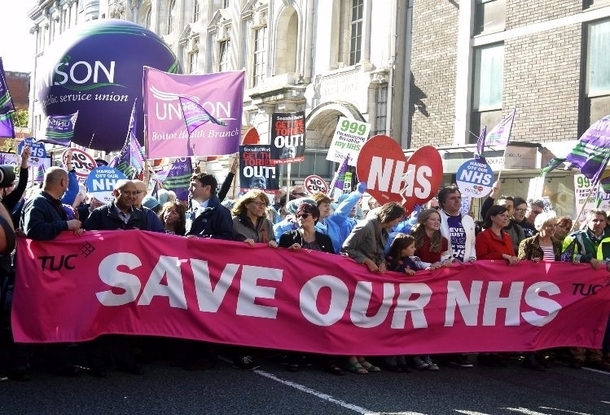 So the NHS is 70 years old, and – perhaps it is because it is currently under threat from serious underfunding – the coverage has been self-congratulatory. There is a lot to be congratulatory about, of course: free at the point of use and the egalitarian ethos. It works. But even when you had articles about changes that might preserve the NHS into the future, the proposals bore little relation to the actual problems which are holding the NHS back. Which matters, because if we didn’t allow any space for critique, then we will never get to grips with some of the underlying issues beyond underfunding (see the recent spat about the politics of the NHS’ history). There are issues of over-professionalism and lack of involvement by patients or staff. The recent Gosport scandal said it all: if you failed to do what you were told in this NHS convalescent home, you were liable to be given dangerously powerful drugs to keep you quiet, which might kill you. And if anyone doubts what really happens to whistleblowers in the NHS, listen to this terrifying description by my friend Bernie Rochford, about how they treated her when her PCT heard about her discovery that they had lost thousands of older patients in care homes around the UK. Every modern health service made the same mistake. Why? We hardly dare ask this for fear it will undermine the whole edifice, but we absolutely have to try for better answers – go to any pharmacy and see the huge crates of medicine checked and bagged up every day. Yes, we live longer, and we often need a great deal of high-tech equipment to keep us alive – but we know it isn’t really about that. Depressed because of debts? Put them on anti-depressants for life. Back pain after redundancy? Give them physiotherapy or operate on their naughty vertebrae. Obese because there is no green space locally? Staple their stomach. Will they get better? Probably not. But they will feel they are better, the NHS can tick the box and send them more drugs. The answer has to be a combination of public health, with an emphasis on the psychic health that really counts, and on the co-production agenda that rebuilds social networks around public services. In practice, this means that patients – as part of their own recovery – support the social and non-medical needs of other patients. As they do in the time banks in GP surgeries in south London, or the volunteer health champions in Yorkshire surgeries. Providing mutual support to other patients is the way forward – and not just in the NHS either. To point out this glaring flaw is not to criticise the legacy – it is to try and expedite a solution, before it overwhelms us. The endless praise without imagination to say why? and why not? won’t get us there.